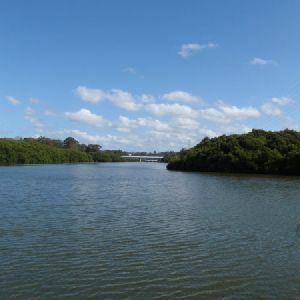 This reserve is a great little riverside park with ample parking, play equipment, a jetty, a small section of beach, sheltered picnic benches and plenty of open space. 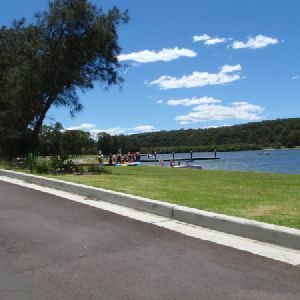 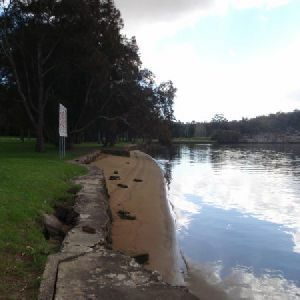 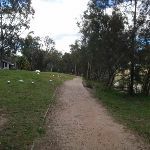 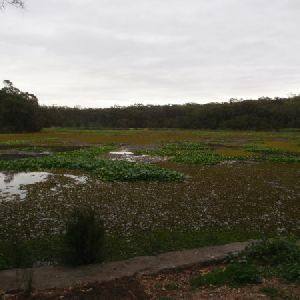 As well as the facilities, this reserve also links onto a wheelchair accessible track that follows the Georges river along boardwalks and footpaths, all the way to Picnic Point. 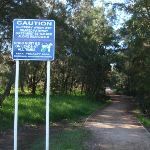 Dogs are permitted at the park if on a leash. 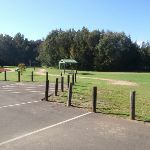 The reserve is signposted from Henry Lawson Drive. 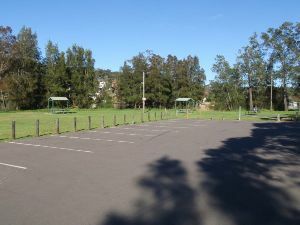 From the car park, the walk follows the gravelly footpath between the play equipment and the river (keeping the river on the right), past the picnic shelters. 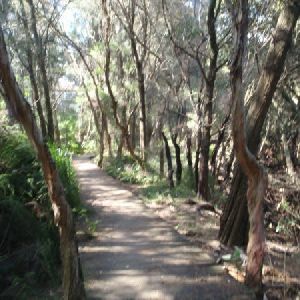 The footpath passes through some trees and soon comes to the start of the wooden Georges river boardwalk. 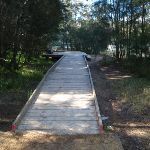 Continue straight: From the junction of the footpath and boardwalk, the walk follows the boardwalk, keeping the river to the right. 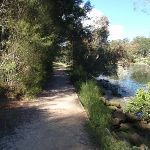 The footpath passes a seat with a view of the river and continues, winding through Pine trees, reeds and mangroves, to the end of the boardwalk (The last section of the boardwalk is fenced). 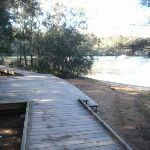 Continue straight: From the end of the boardwalk, the walk follows the gravel footpath, keeping the river on the right. 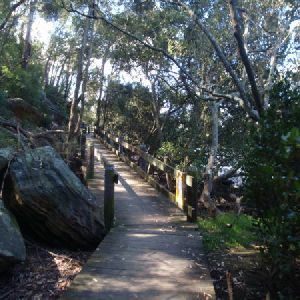 The footpath passes a seat at a viewpoint and continues along the river, coming to the bottom of a set of timber steps that head up to Henry Lawson drive. 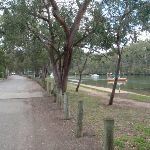 Continue straight: From the intersection, the walk follows the footpath south along the Georges river. 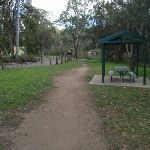 The footpath runs through a long grassy clearing, between Carinya road and the river, and comes to the intersection with Carinya road, at the metal Gate near the sheltered picnic bench. 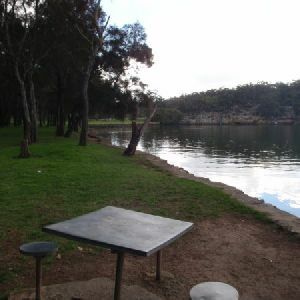 This boatshed and cafe can be found beside the Georges rivers at Picnic Point (on Carinya Rd). 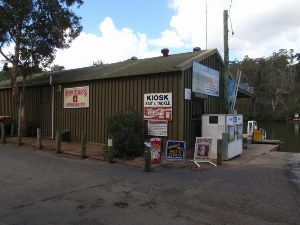 They serve a variety of simple hot foods (pies and sausage Rolls), ice creams and cold drinks. 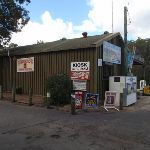 They also provide ice, fishing bait and tackle. 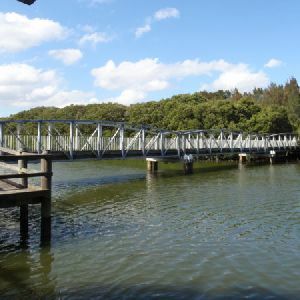 There is a small jetty for boats to re-fuel and a boat repair service. 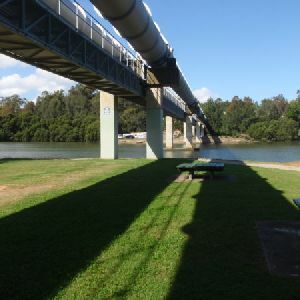 This whole walk, 1.3km is flat with no steps. 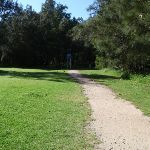 This whole walk, 1.3km follows a smooth and hardened path. 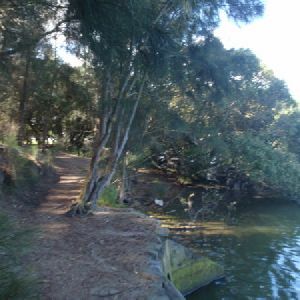 This whole walk, 1.3km is clearly signposted. 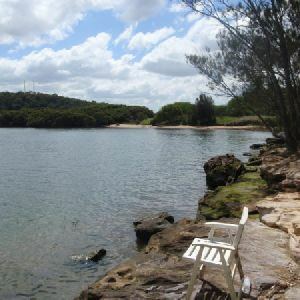 This whole walk, 1.3km is close to useful facilities (such as fenced cliffs and seats). 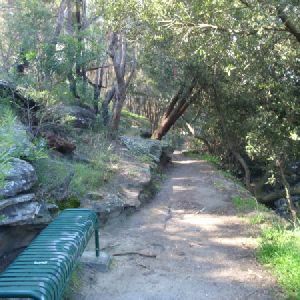 A list of walks that share part of the track with the Lambeth Reserve to Picnic Point walk. 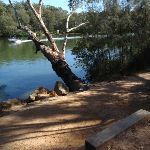 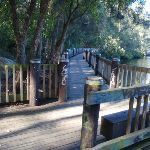 A list of walks that start near the Lambeth Reserve to Picnic Point walk. 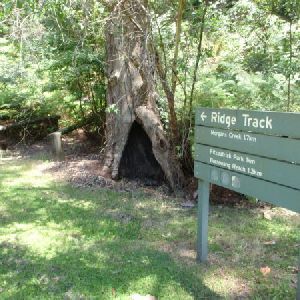 http://new.wildwalks.com/wildwalks_custom/includes/walk_fire_danger.php?walkid=nsw-georgernp-lrtpp Each park may have its own fire ban, this rating is only valid for today and is based on information from the RFS Please check the RFS Website for more information.